About Website – Herbal IndiaProducts offers variety of products like herbal powders, skin whitening creams, skin whitening soaps, lotions, women care products. 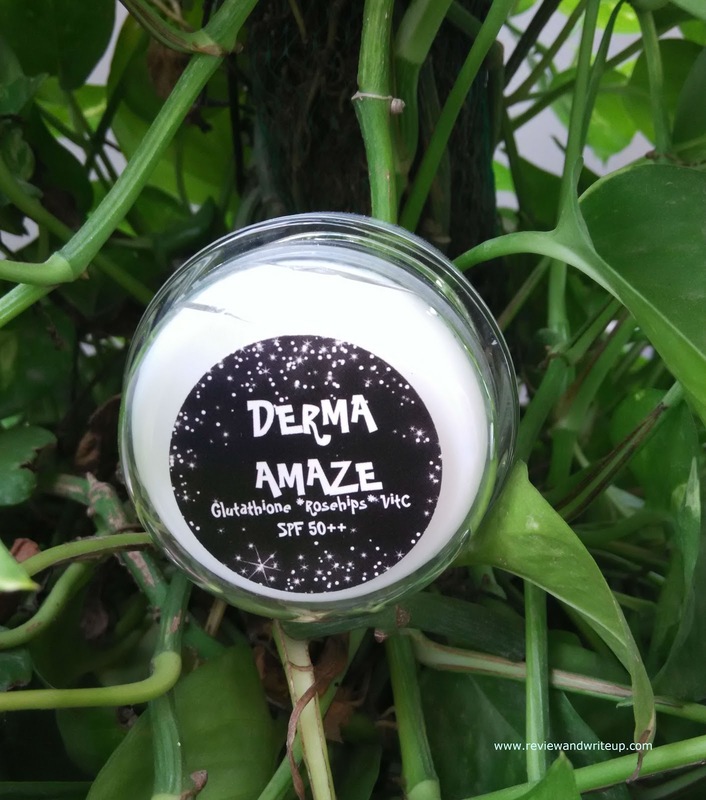 I got skin care creams Derma Amaze, Derma Green Plus and Derma Green. Today I will be reviewing Derma Amaze Cream. Claims of Brand – Cream lightens and softens skin. It also removes the appearance of skin blemishes. Brand has claims that one can look fairer in a week of its usage. Product also works as a kerotolytic and comedolytic agent which casues the cells of the epidermis to shed more readily. It means opening clogged pores and neutralizing bacteria. 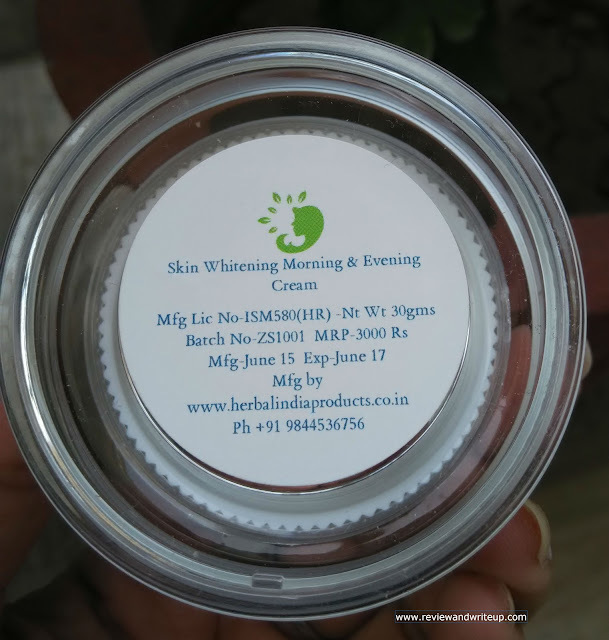 Packaging – Cream is housed in a round jar made of strong, clear plastic which is heavy to hold. Jar has a twist open cap and a white color lid to protect cream. Packaging is really classy. I was so excited to see the jar as I haven’t seen such classy packaging for any other cream. My experience with the product – Cream is of light green color. Cream is hard in texture and it takes some time to extract cream from jar and so its application. Have you used borolene? 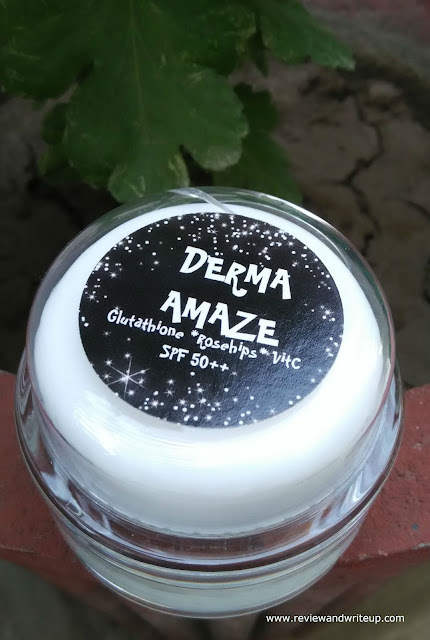 Yes similar texture you can think for Derma Amaze Cream. Due to its hardness I have to make sure that I apply it on my damp face. On dry face it is another challenge. Brand’s first claim that it lightens skin tone. Yes my face skin seemed fairer after ten days of Derma Amaze cream usage. I was using it two times a day one in the morning and second in the evening. Due to its greasy texture I need just a little for my face and neck. Once applied creams keeps my face moisturized for good 7-8 hours. I don’t feel need to apply cream again and again even in this dry season. Cream has SPF 50+ which eliminates need to buy sunscreen separately. My skin looks healthier than before. What disappointed me that cream didn’t helped in reduction of blemishes. I didn’t felt any difference. Another issue I have is with its price. This cream is priced at Rs. 3,000. I got this with the hope that this will help in reducing blemishes. R&W Recommendation – I will recommend this for skin lightening but not for blemishes. Also buy only if you can easily afford it. This is quite an expensive product.